The origin of Daitō-ryū Aiki-jūjutsu can be traced to Emperor Seiwa in 850 A.D. Long kept a secret under the Minamoto clan, the art was used by the Emperor’s army and private guard. Eventually the art was passed to Minamoto Yoshimitsu, a descendant of Emperor Seiwa, and was perfected by him observing the natural movements of a spider trapping its prey. During the Gosamen War (1083-1087 A.D.), Minamoto Yoshimitsu fought alongside his brothers against the Kiyohata clan, and took the opportunity to study the bodies of fallen enemy soldiers in order to refine the art even further. For the next few centuries it was continually honed and passed down to successive generations of the samurai clans until the last samurai battle on 24 September 1877. Daitō-ryū Aiki-jūjutsu became a cultural treasure, and to insure that the skills developed during the past centuries would not be lost, Sensei Takeda Sōkaku opened it to the rest of Japan. Takeda Sōkaku was born on October 10, 1859 in Oike, Aizu, presentday Fukushima prefecture. 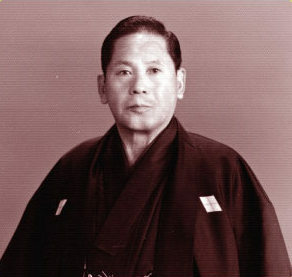 As a boy, Sōkaku learned kenjutsu, bojutsu, sumo, Daitō-ryū from his father, and also studied Ono-ha Itto-ryū at the Yokikan dojo under Shibuya Toba. 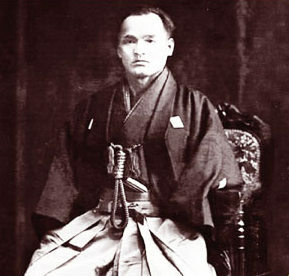 In 1873, Sōkaku traveled with his father to the dojo of swordsman, Sakakibara Kenkichi. There he stayed as a live-in student and trained with top swordsmen—many of whom had been members of the exclusive Kobusho martial arts school. He eventually mastered many different skills and weapons including sword (ken), staff (bo), half-bo (hankyu), short-staff (jo), and throwing darts (shuriken). Later he also received a license in the spear arts of the Hōzōin-ryū. In his later years Sōkaku focused his teaching activities in Hokkaido, and passed away on April 25, 1943 at the age of 83. Following Sokaku’s death in 1943, his third son Takeda Tokimune succeeded him as head of the Takeda family and headmaster (soke) of the Daitō-ryū. Tokimune was born on October 7, 1916 in Hokkaido, and as a boy, his father trained him strictly in swordsmanship and Daitō-ryū Aiki-jūjutsu. He often accompanied Sokaku on his travels and acted on his behalf as kyoju dairi (assistant instructor). Tokimune began working toward sharing the art with a wider audience by conducting seminars in various places around Japan, and on February 7, 1981 Tokimune presented Daitō-ryū at a major public demonstration of classical martial arts that was broadcast on Japanese national television. This demonstration included tachiai rokunin zume (pinning 6 opponents attempting to hold him from a standing position) and newaza kyunin nage (throwing 9 opponents attempting to pin him on his back); thus, the techniques of Daitō-ryū Aiki-jūjutsu and his own skill in executing them immediately gained the attention of the Japanese budo world.